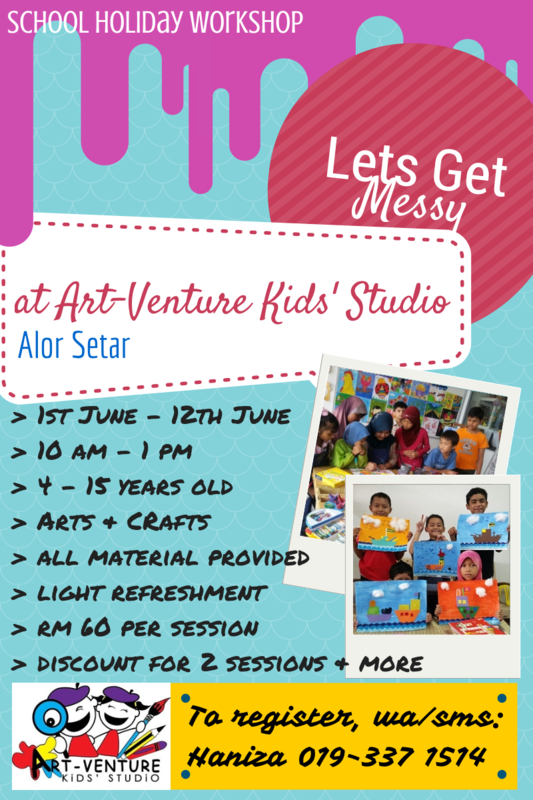 Our Super Fun Art & Craft Workshop is back in town. Lets get MESSY! ARTY! CRAFTY! Posted on May 21, 2014 by artventurekids	• This entry was posted in Art Class and tagged alor setar art class, bengkel cuti sekolah 2014, kem cuti sekolah 2014, school holiday workshop, school holiday workshop june 2014. Bookmark the permalink.